First Listen: The Joy Formidable, 'The Big Roar' The Welsh rock trio's first proper full-length album lives up to the buzz that's been building since The Joy Formidable's first shows in 2008. KEXP host Cheryl Waters writes that The Big Roar, heard here in its entirety until March 15, is nothing short of brilliant. 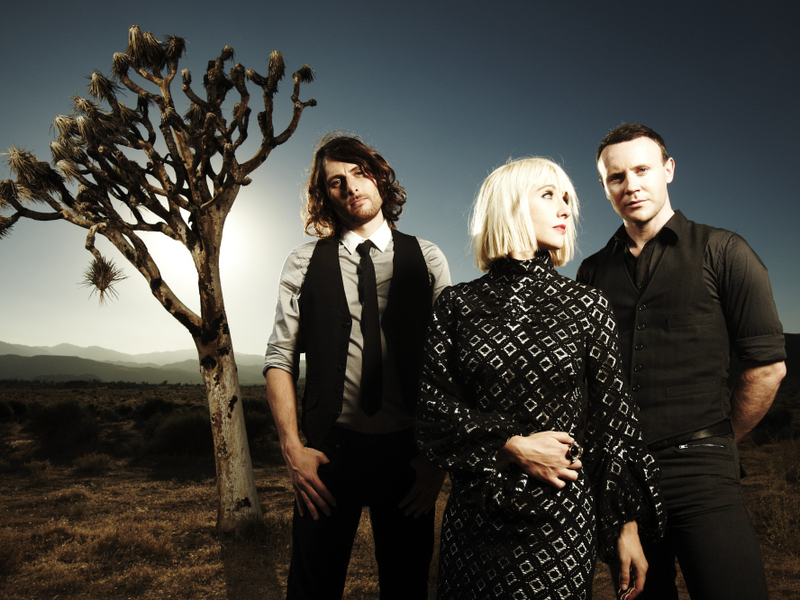 The Joy Formidable's first full-length album, The Big Roar, will be released in the U.S. on March 15. With its ferocious rock assault and shimmering beauty, Welsh trio The Joy Formidable's proper full-length debut is aptly named The Big Roar. The album fully delivers on the promise of the band's handful of singles and 2008 mini-album. The sheer size of The Joy Formidable's sound is impressive, and more expansive than the music of bands twice its size. Drummer Matt Thomas and bassist Rhydian Dafydd lay down a throbbing bedrock, while singer Ritzy Bryan unfurls layer upon layer of swirling guitar. The album's opener, "The Everchanging Spectrum of a Lie," sets the tone as it builds gradually, stuttering at first like an old engine until Bryan's ethereal vocals soar above a momentous wall of sound. "Austere," originally released as a limited-run single back in 2008, has a dreamy buoyancy while unleashing twice as much power as the original version. Another standout, "Buoy," ebbs and flows between gentle vocals and massive explosions of guitar and drums. "The Greatest Light Is the Greatest Shade" closes The Big Roar on a mesmerizing note, as washes of guitar descend over a sprawling sonic landscape. The song is atmospheric and emotional, optimistic and hopeful. Vibrant and awash in dynamic tension, this brilliant debut contains not one weak song. The power and intensity of The Joy Formidable never ceases to amaze, and it's just getting started. The Big Roar will stream here in its entirety until its release on March 15. Hear the band play live as part of NPR Music's annual show in Austin on March 17 during the SXSW Music Conference.